Inspired by mid 20th century Scandinavian furniture. 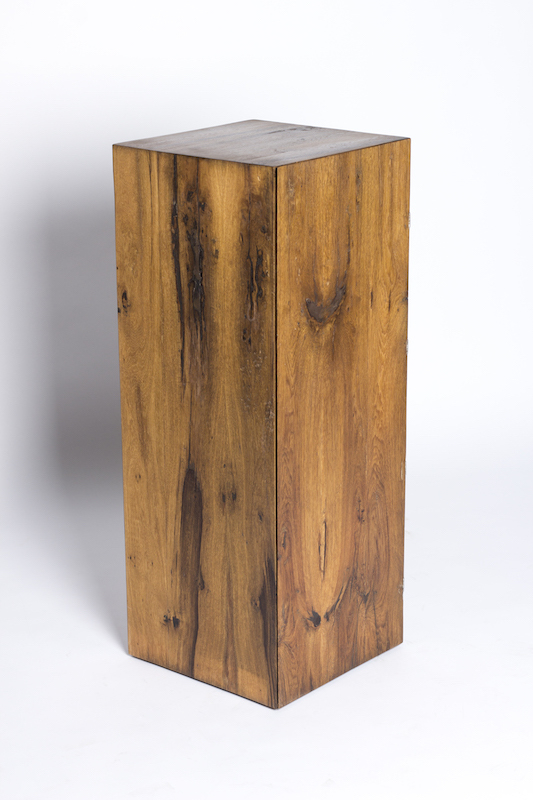 The aim was to make a minimalistic furniture piece with a focus on details and materials. 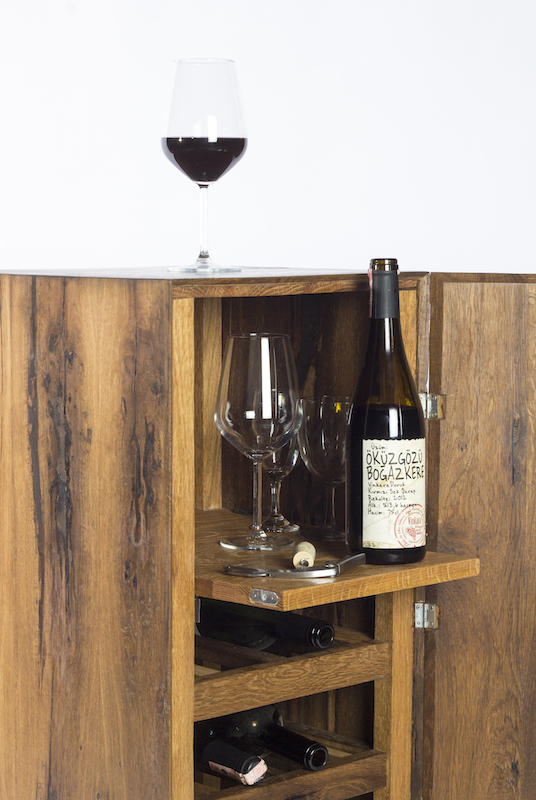 A mini-bar inspired by mid 20th century Scandinavian furniture. 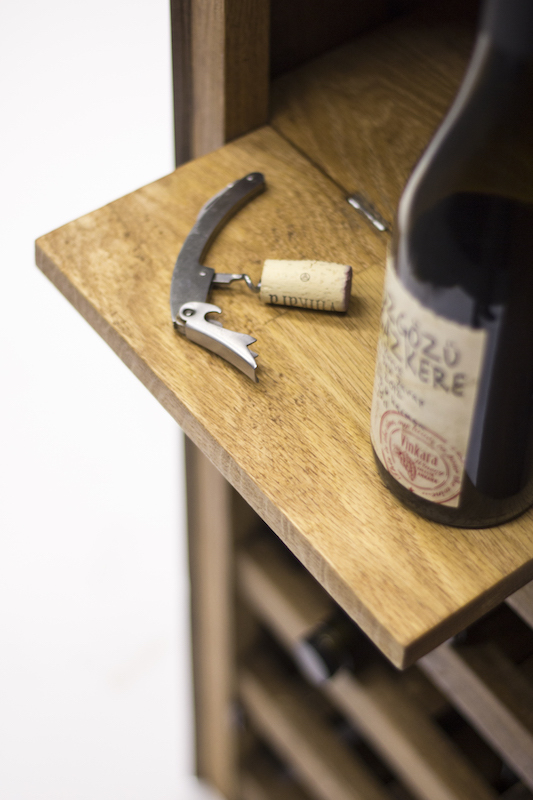 The aim was to make a minimalistic piece of furniture with a focus on details and materials. 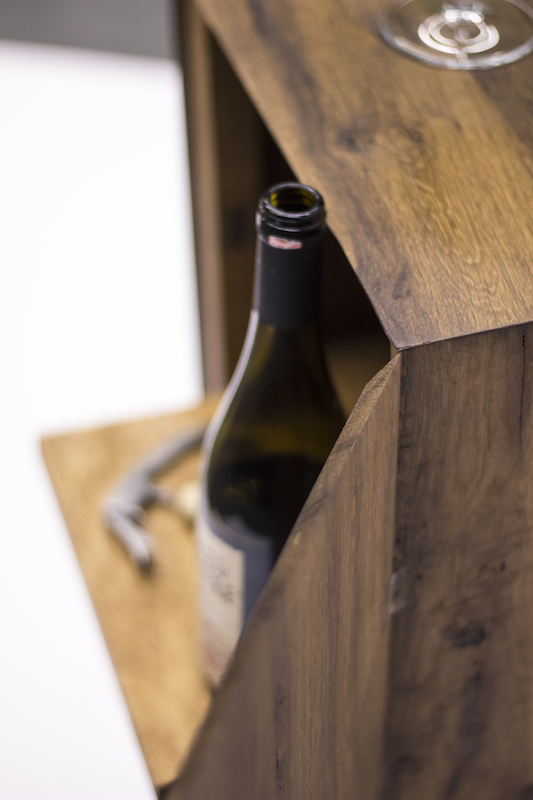 Using “low quality” cut-of materials, the natural fibres of the wood would juxtapose the simplicity of the overall design. 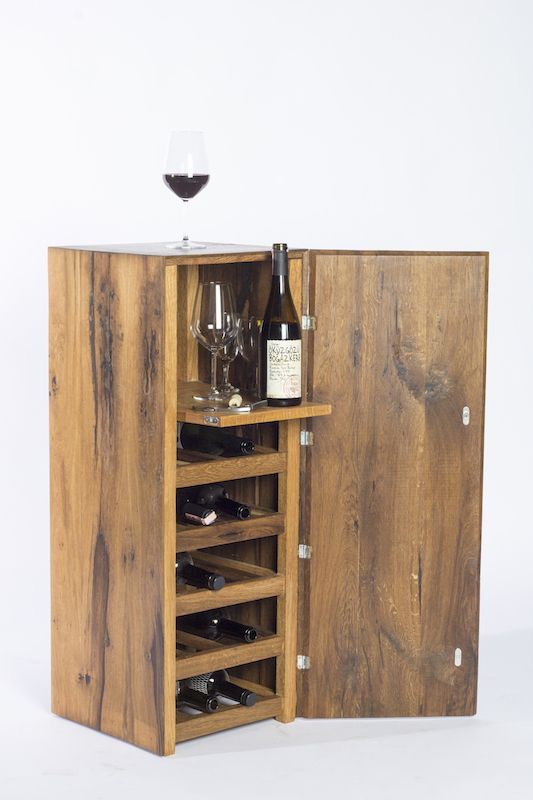 The small wine cabinet and bat doubles as a plinth for an interior focal piece such as a sculpture or ceramics. The exterior is kept as low key and minimal in design as possible with all joints and connections hidden inside the cabinet. 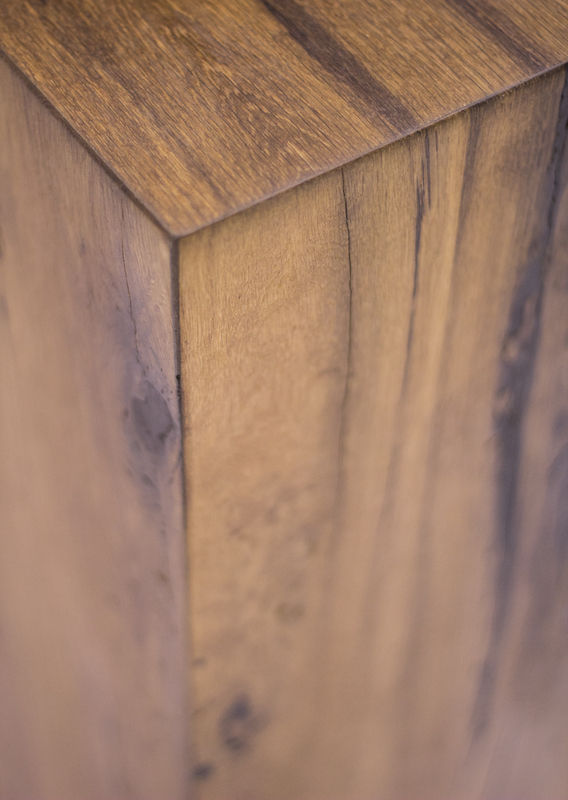 Material selected for the cabinet is discarded oak due to worm, knots and other blemishes. The selection made as these blemishes bring life and character to the piece. 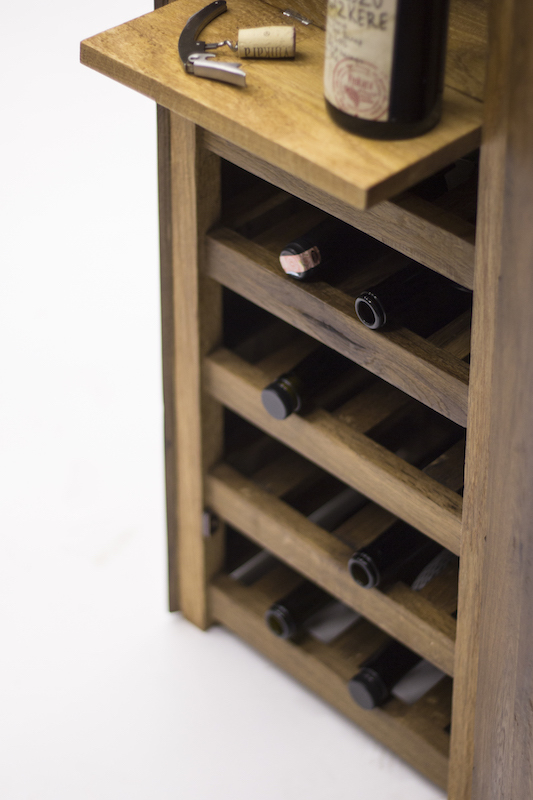 The oak is artificially aged, assembled with traditional mitre joint methods. Handmade by designer.